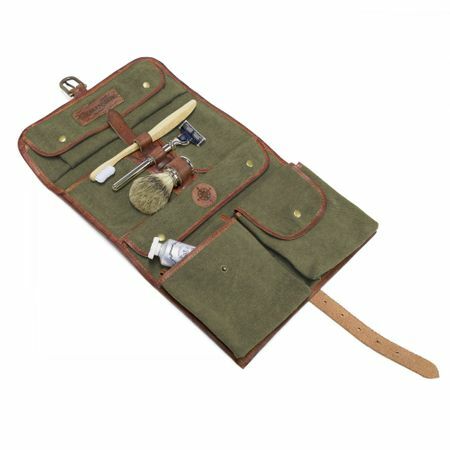 This classic type of toilet bag has been in use for centuries, making it an indispensable accessory for the travelling gentleman. Made of robust canvas, our Dopp Kit is a perfect example of this tradition, offering ample space for your shaving kit and cosmetics. With its compact dimensions and light weight, the Dopp Kit doesn’t take a lot of space in your luggage. With its long zip, the vintage-look toilet bag opens widely for easy packing. 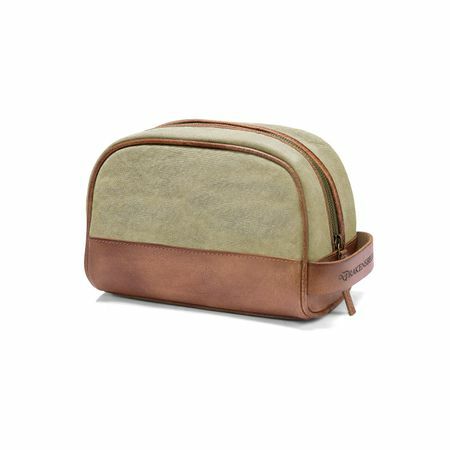 The bottom is entirely made of buffalo leather, giving the Dopp Kit both dimensional and vertical stability. Inside, the Dopp Kit sports two practical compartments, kept in shape by elastic bands. In addition, there is a useful interior zip compartment. There is no rating for KIMBERLEY - Dopp Kit - Green.